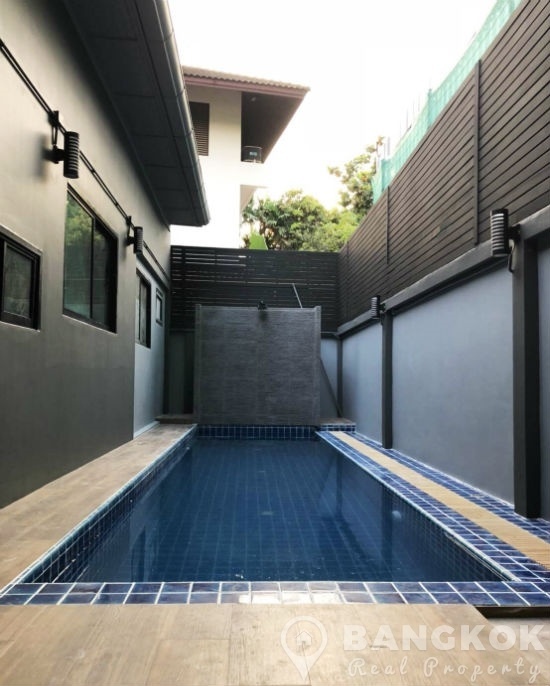 This modern, detached Thonglor house 4 bedroom residence with a private swimming pool is now available to rent. 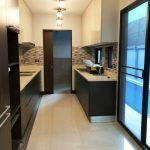 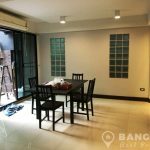 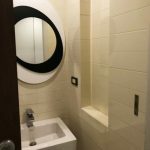 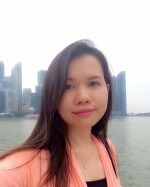 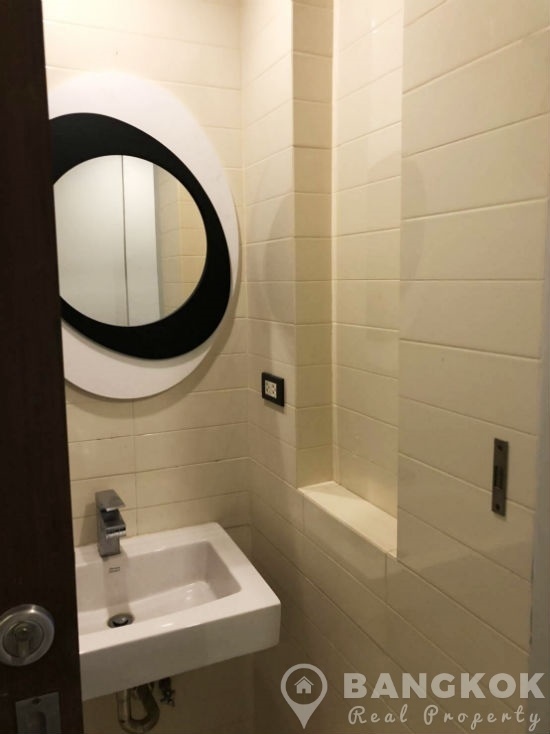 The house is centrally located in a quiet residential soi just off Sukhumvit 55 in the heart of Thonglor and yet within walking distance of Thong Lo BTS station. 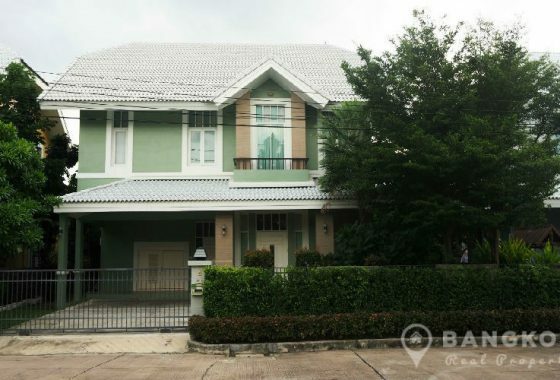 The house is within easy reach of the best of Thonglors’ many restaurants and amenities including J Avenue, Villa Market, 8 Thonglor Mall, Tops Market and several top international schools. 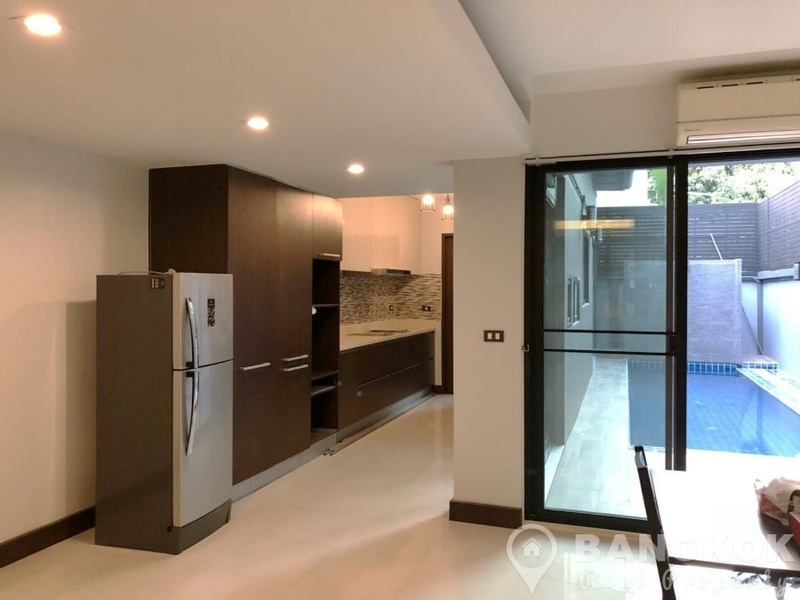 This modern Thonglor house is modern in style with large open plan living – dining room with ceramic tiled floors, opening to a modern kitchen overlooking the private swimming pool. 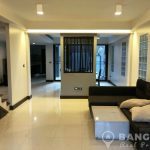 The house has 340 sq.m of living space, with 4 double bedrooms, 4 bathrooms ( 3 upstairs + 1 guest bathroom / powder room downstairs), 1 maids room, 1 utility / laundry room and 2 off street parking spaces. 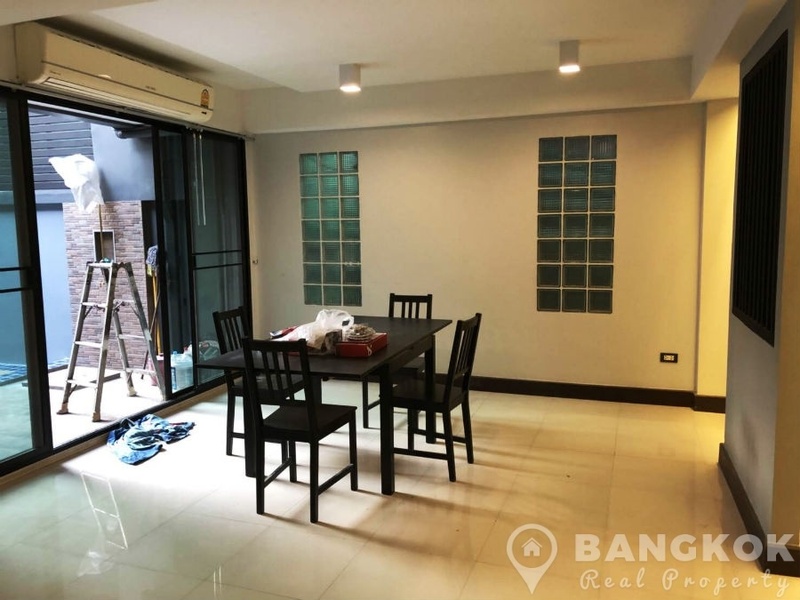 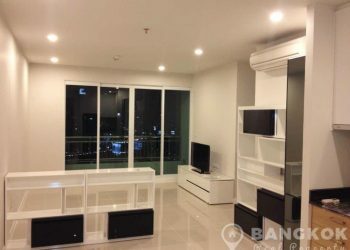 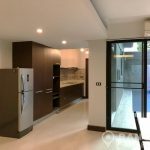 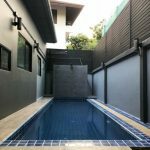 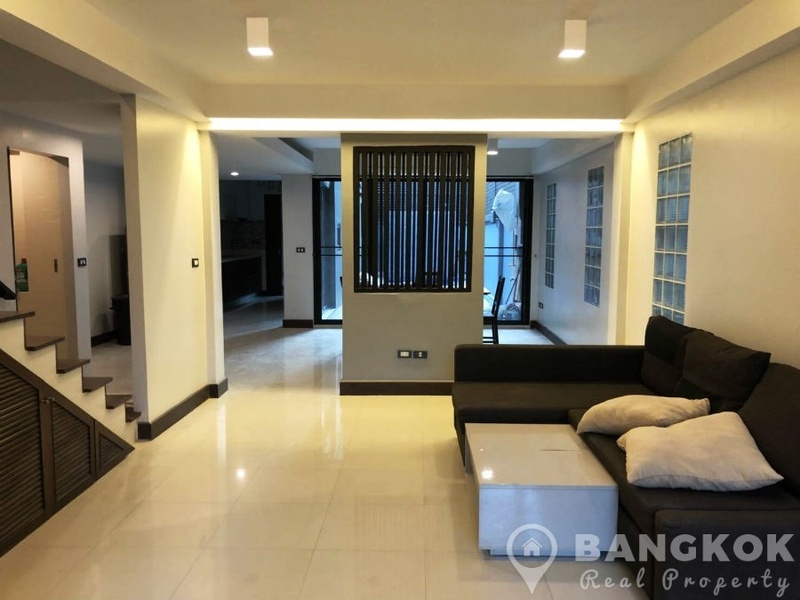 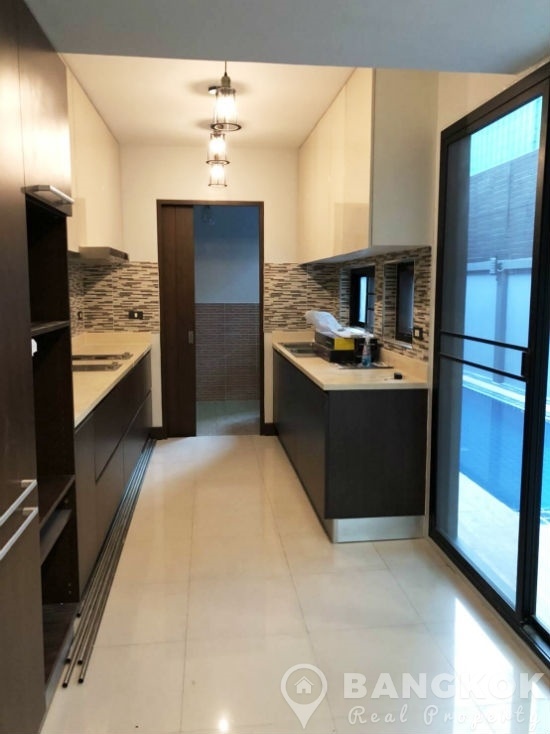 A modern, detached, located just off Thonglor (Sukhumvit 55) within walking distance of BTS with 4 beds, 4 baths, 1 maids room, storage room, 340 sq.m of space and private swimming pool.